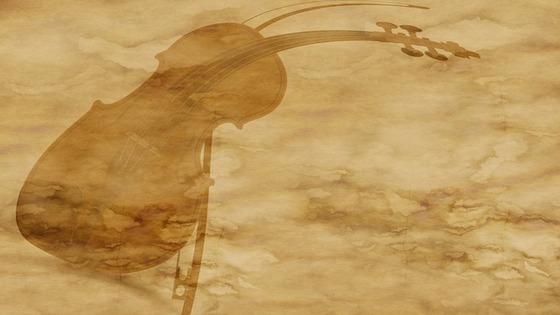 V.com weekend vote: Is your setup on the violin or viola pain-free? June 15, 2018, 6:58 PM · This week I attended an excellent lecture about pain-free setup at the American Viola Society Festival at the Colburn School and it got me thinking -- have most people figured out an ideal setup for themselves, or is it simply a constant struggle for all of us? Set up -- that combination of posture + posture aids like shoulder and chin rests -- is largely responsible for whether or not a violinist or violist later develops pain from playing. Of course, building up muscle strength and cultivating ergonomic movements are also important. But for violists especially, with such a large and heavy instrument, setup is a key component in achieving comfort while playing - and after playing. This led me to wonder: how many people truly have a pain-free setup? If you have not found your ideal setup, does this cause you major pain, or minor pain? Did you previously have setup problems that caused pain? If so, how did you resolve those problems, and can you share any advice for others in the same situation? Or have you simply never had setup problems that led to pain? Please participate in the vote and then share your thoughts and experiences about this issue. June 16, 2018 at 02:57 AM · I think you have to take into account how long you are playing and how old you are! Three hours of nearly constant playing will probably have anyone feeling it. June 16, 2018 at 03:42 AM · I'm really starting to wonder if I have any business playing viola. With a Kaufman chin rest, already one of the lowest on the market, my viola simply doesn't fit between my jaw and collarbone, whether or not I use a shoulder rest. I have to elevate my head no matter what. This leads to minor neck and upper back pain if I play for long periods of time. I tried switching to a Joachim chin rest earlier this year, and it felt better at first but ended up causing more pain in the longer term because there isn't enough of a lip and I had to clamp down with my head to keep it from slipping. I switched back after about two months, when even a few minutes of playing with the Joachim chin rest would cause debilitating shoulder and neck pain for several days. This means I need something that's in-between in height, and has more of a lip than the Joachim. only practicing 30-90 minutes, max, at a time, with breaks. In retrospect, the thing that caused me the most pain was not anything in my own setup, it was sitting in chairs wirh bucket seats. June 16, 2018 at 04:52 AM · Yes, my set up is totally pain-free on both violin and viola. For me, a number of similar models of chin and shoulder rests can work equally well, which is unusual. I've spent a lot of time adjusting my shoulder rest for a "perfect" setup. Regarding pain due to a bad setup, I've mostly had chin pain problems due to a chin rest that doesn't suit me. I've also had (once or twice only) minor neck strain from a setup that is either too high or low. June 16, 2018 at 05:00 AM · place or otherwise the scroll would drop to an unacceptable degree. As a result of all this discomfort and suffering, I asked my violin teacher (not a violist but a posture expert) regarding my arm strain problem. Although I did not have my viola with me, I physically showed her my posture and she noticed me tilting my whole upper body to the left. She told me that this tilting was causing my discomfort. I tried her advice at home, and she was right. Despite my horrid setup, which I hadn't changed yet at the time, I was comfortable enough to realize that the viola was the right size for me (had no other problems with it size-wise). Then, I set out to change my setup. I changed my chin rest to the lovely flat wooden center mounted model that's originally a violin chin rest, but I fitted it to the viola by changing the clamp. That made me a lot more comfortable. Then, I got a new shoulder rest (some random model on Amazon because I didn't want to spend too much for now). I adjusted it like crazy, and with this new setup, I'm totally pain free. I have found that due to the noticeably heavier weight of the viola, I have to be extremely careful with my alignment, not to slouch in any direction, tense up, or clamp with the chin; all things I've been tempted to do and have done, or otherwise I feel uncomfortable. If my alignment/posture isn't totally perfect on violin, I don't feel anything. In conclusion, proper posture along with a chin rest and shoulder rest combo that truly suits me solved my viola pain problems. June 16, 2018 at 02:09 PM · When I was a child my setup was painful. It was hard to play and as a result (I believe) I learned more slowly. The problem, I learned many years later as a forty-something returner, was that I was not using a shoulder rest. If you saw the pictures of me playing the violin you would cringe and recoil in horror. My childhood teacher was a lifelong restless player who shunned the SR. I trusted him over the advice of other players that I met in community orchestra and theater pit orchestras advised me to try the SR. I have a knot on my collarbone where the hardware of my center (Flesch) CR went for 12 years. Also I never developed a proper vibrato and this had to be rebuilt from scratch as well. June 16, 2018 at 02:14 PM · Pain-free here. Currently, one fiddle has the Teka medium chin rest, while the other two each have the lower-set Dresden. I tried the Flesch flat model, centered over tailpiece, some years back, but it was too tall for me. Since 18 y/o, I've used a chin rest cover -- in my case, the Strad Pad. This is a great invention and works ideally for me -- no skin irritation, even though I have time to practice and play up to 3 hours a day. An added benefit: It provides more traction and enhanced grip of neck skin on CR. No slippage here. On shoulder rests: Placement makes a difference. Your individual build ties in here. I set my SR at SW-NE on the back of the instrument. That's a great fit for me. Some players prefer NW-SE. I can't play that way. Another SR factor: the outfit you're wearing. I can't wear a jacket and tie and, at the same time, play with an SR -- too much bulk, neck too short. I can play restless but would rather not. I was 20 y/o when my playing partners and I had to play during a Michigan heat wave. We set aside the jackets and ties and were fine. I had more secure contact with the instrument this way and have kept it up since then. June 16, 2018 at 05:03 PM · I'm with Jim: Clothes matter. One problem with men's jackets is that they all contain varying amounts of what haberdashers call "modeling" -- aspects of fit in the torso and padding in the shoulders (and even in the lapels) that tends to homogenize men into the basic "Dress for Success" image. For the businessman, the suit serves as an eminently practical and cost-effective work uniform, and with proper care a wardrobe of half a dozen suits can last several years, which is is about how often styles change. I imagine that violinists who perform often in suits or tuxedos will be better served by spending more for custom (bespoke) garments, with careful attention to fabric selection and key design elements, including sleeve length, sleeve rise, shoulder slope, and so on. June 16, 2018 at 10:53 PM · I'm also with Jim with regards to clothing. Some jackets have a large amount of fat near the collarbone region, and some have little decorations in the collarbone region as well, or both. If I'm wearing such a jacket, I'll unzip it and push the area near my collarbone to the side. This isn't viable for performance, though. I also prefer clothing that is loose around the arpits, as clothing that's tight around the armpits makes some violin-specific movements more difficult. I'm also with Jim on the fact that shoulder rest placement matters a lot too. Placement can make a huge difference in your comfort level. I have found that even the angles of the feet and the width of the rest make a huge difference as well. Regarding finding the perfect setup, some people find their ideal setup quickly, and some take forever to find it. Thankfully, I found a good setup quite quickly, thanks to the fact that I was taught correct posture and my teacher pointed me in the right direction early on. The amount of time it takes to find one's ideal setup depends on who's involved in the process and how helpful they are/if they point you in the right direction or not, your physical build in relation to the rests you can get your hands on, influence from research, and sometimes just pure luck. June 18, 2018 at 05:01 AM · I have a long neck and have yet to find the best setup on my violin. It has a Berber/ohrenform chinrest which gives added height, but my Kun shoulder rest is too unstable at the height it needs to be. The viola, with its higher ribs, was a godsend. My luthier set me up with an Everest shoulder rest, which is very stable and just the right height. I would say I just got lucky. June 19, 2018 at 02:03 AM · I have a very long neck and very little fat on my chin bone and collar bone. I've been searching for the proper set up for about 30 years. I keep getting closer to it but not quite right. My experience with clothing is just the opposite of what others here have found. The more the better for me. One or two sweaters work great, but they are too warm for the summer. I use a long scarf and wrap it around my neck and collar bone as many times as necessary. It's quite adjustable. I also carry a long scarf in my violin case whenever I play out. In spite of all my efforts (various SRs and chinrests), I have abused my body terribly over the last 55 or so years and I pay the price: chronic neck, shoulder, and upper back pain and also TMJ. Now I try to be aware of pain or tension developing and I stop and stretch a lot when this happens. Now I have a very big problem which all violinists should dread. I injured my left shoulder rotator cuff almost 7 months and I still can't play my violin, not even for five minutes at a time. It is driving me crazy and causing me severe psychological pain. I have been taking PT for months and it has not helped. I am going to try another PT. Please, everyone, wish me well. June 19, 2018 at 03:37 PM · Sorry to hear that, Pauline. It sounds to me like you need an extra high chin rest, perhaps with a noticeable edge to hold onto for your chin, and padding for your collarbone. I find it quite sad that so many people play with pain. They really shouldn't have to, unless they have some non-violin problem or go absolutely nuts with playing time (overuse). Have you tried something along the lines of Alexander Technique or Feldenkrais? Good luck!